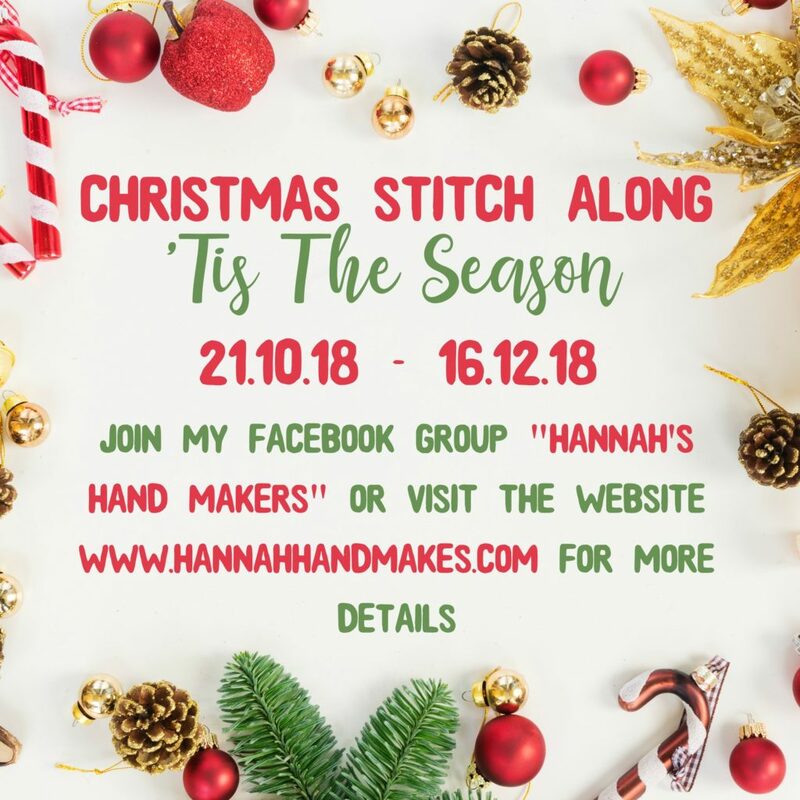 I can’t believe it’s that time of year again, but I am so excited to start telling you the plans for the 2018 Christmas Stitch Along (SAL) – ‘Tis The Season. Those of you who were around last year may have seen the Deck The Halls hoop we made in the 2017 SAL. This was 1 pattern that we all followed in the same colours. Then for the Summer 2018 SAL I gave you a little more choice, with 2 themes, 2 colour palettes and multiple pattern choices. For this SAL, I’ve sort of combined these 2 ways of doing things. There will be just 1 pattern (and it’s a 7-inch hoop like last Christmas), but you can always request small changes if you wanted something a little different. 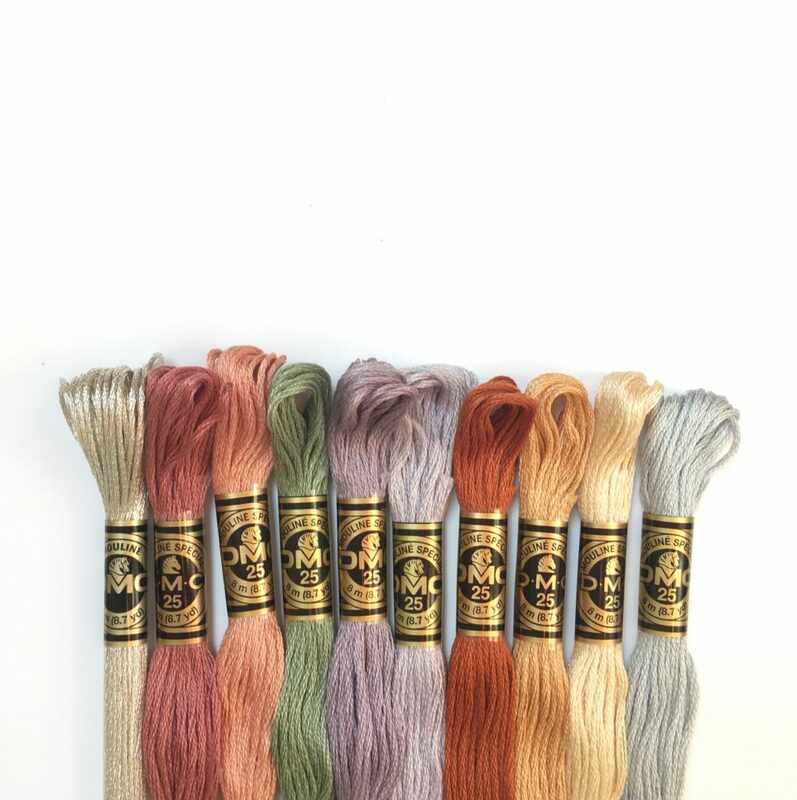 And this year there are 3 colour palettes to choose from! So let’s dive into the details. The 2018 Christmas SAL will start on 21st October and will run for 8 weeks, finishing on the 16th December. Every Sunday I will post a new part of the pattern for us to stitch together! After asking your opinions, the SAL will be running in my Facebook group again. However, if you don’t want to join the group, you can request to have the pattern emailed to you each week. 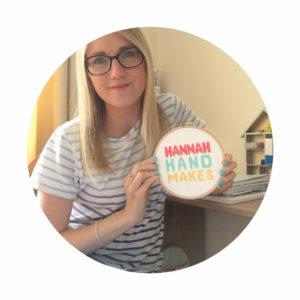 Just use the contact tab at the bottom of this page (I can’t reply directly to comments on this post so emailing me is always the best way to contact me – hannahhandmakes@gmail.com). The kits are now up for sale. 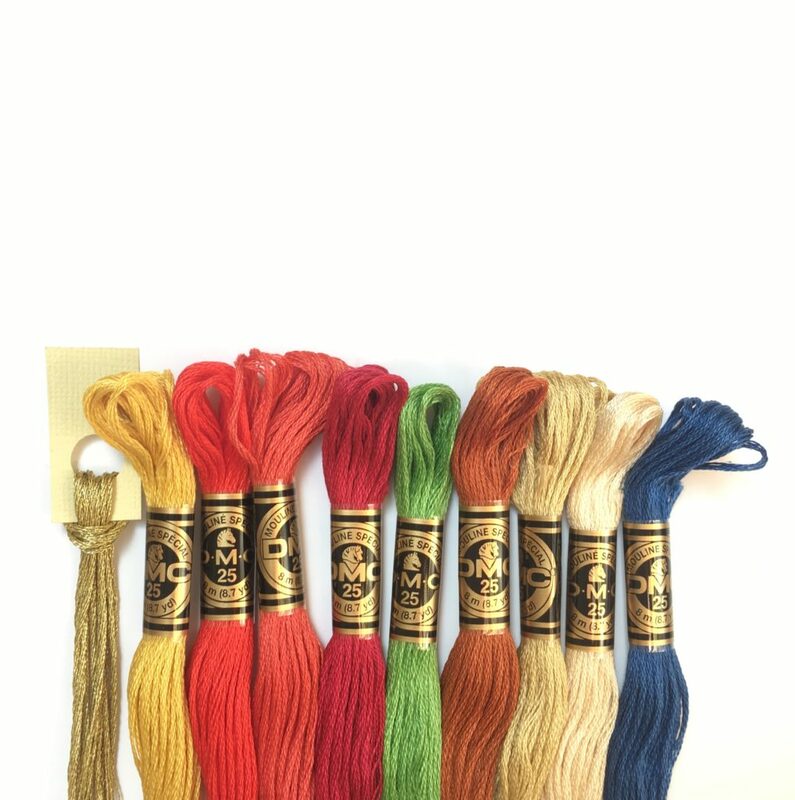 You will get all the materials you need to make your hoop, with the options to add extras such as scissors, needle minders and bags. If you already have your own supplies, you can still join in the SAL. The pattern is free to anyone who wants to join in, so just come along to the Facebook group. A selection of deep, dark Christmas colours for a cosy and warm vibe. All the usual, fun and bright colours you expect to see at Christmas time. 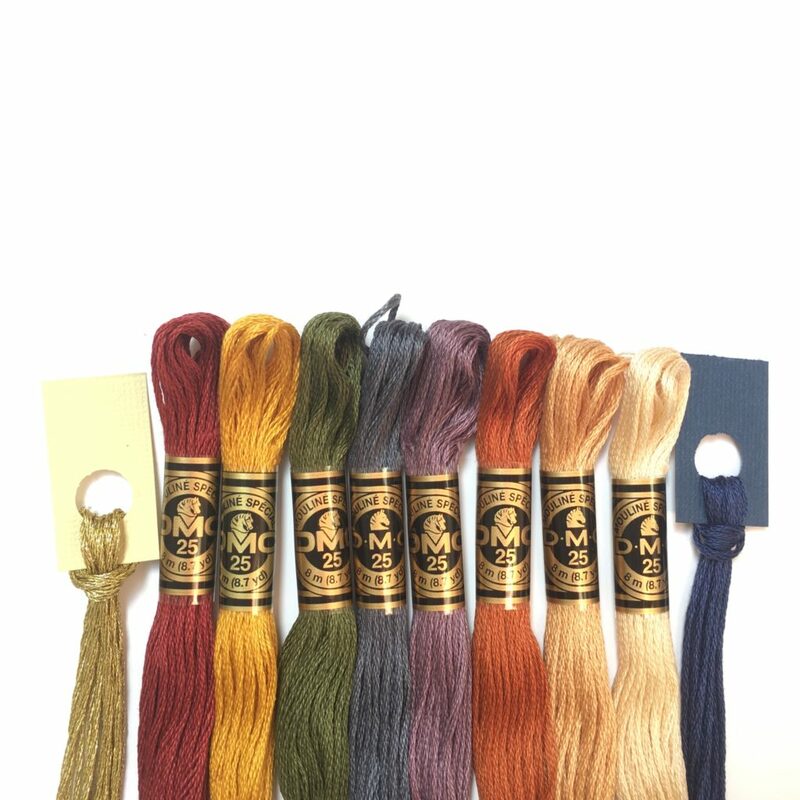 Icicle – modern and cool, these colours are perfect for some winter wonderland stitching. The colours you see here are just a starting point, the minimum you will get, and some will be more prominent in the pattern than others. There are also extra colours that will be in all 3 such as black and white etc. Since taking these photos, I’ve added a grape colour to the cosy palette and a sort of teal-green to the traditional. And I’m trying some frosty blues out for the icicle palette. If you have any questions please just ask! And I hope to see you on the 21st October! P.S. If you don’t like surprises and would like to see the pattern before starting, just ask.